My favorite recipe to prepare these! 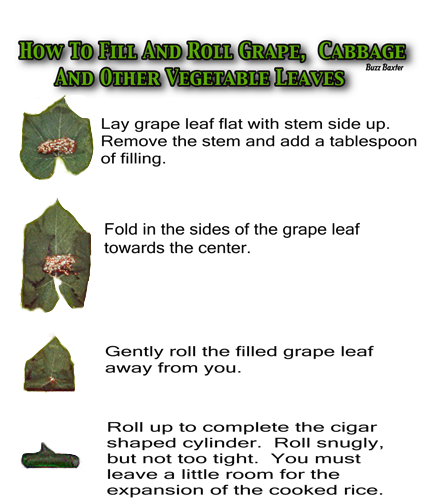 (depending on size of the leaf),  fold sides over filling and roll leaf up. bottom of the pot to protect the rolled grape leaves from burning. 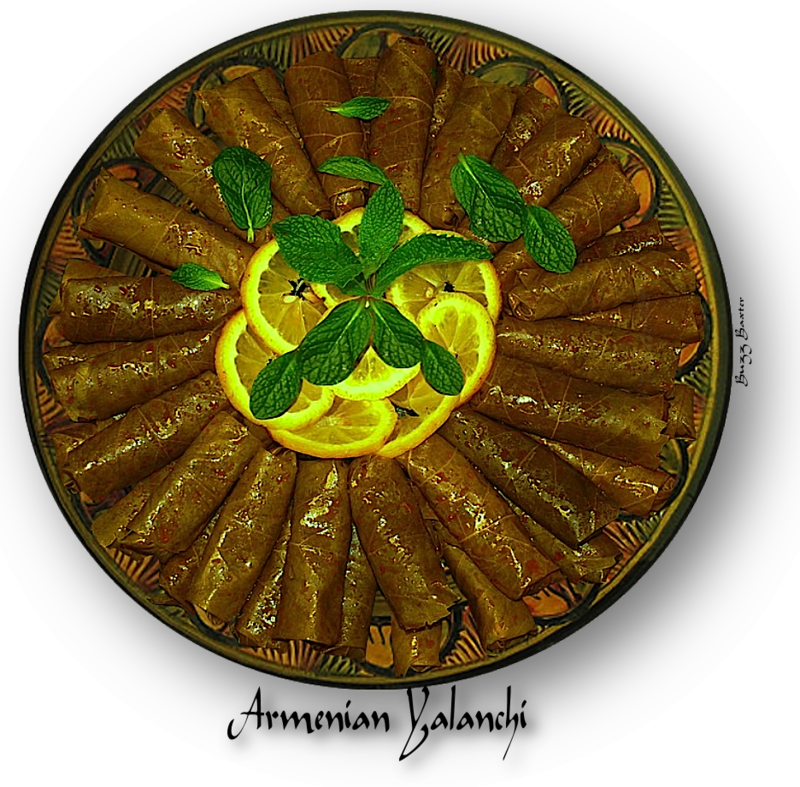 of the rolled grape leaves to hold them down when cooking. from oven and let cool completely. 4. Remove the yalanchis from the pot and refrigerate for at least 1 hour. Garnish with fresh mint leaves,  lemon slices or wedges. easier to roll up in the grape leaves as it holds together better. ✯ Watch more Videos at Vodpod.